A visual guide to one of the fastest growing areas in trading and speculationAn Exchange-Traded Fund (ETF)a security that tracks an index, a commodity, or a basket of assets like an index fund, but trades like a stock on an exchangeoffers diversification of an index fund, as well as the ability to sell short, buy on margin, and purchase as little as one share. Giving financial advisors, institutional asset managers, traders, and other investment professionals the information they need to get the most out of ETF opportunities, theBloomberg Visual Guide to ETFscovers the subject in a highly visual manner.Starting with an introduction to ETFs, the book looks at where they fit within the world of investment products, how they are structurally differentiated from other products and among themselves, relevant tax considerations, global listings, growth on a global basis, evolution of the product set, and other topics. Also looking towards the future, the text provides information on finding ETFsincluding fund searches, fund news, measuring and valuing ETFs, evaluating their correlation to the underlying sector or commodity being tracked, and more. As a result, the book is a resource not just for understanding ETFs today, but for taking advantage of what's to come. 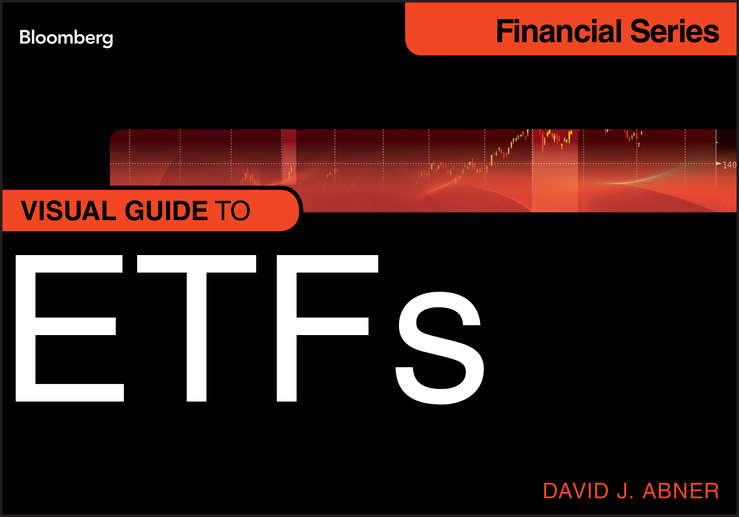 ETFs are multivarious, complex instruments that offer unique rewards, and theBloomberg Visual Guide to ETFsbrings together everything that people working with them need to understand to cash in. David J. Abnercurrently heads Capital Markets for WisdomTree Asset Management, an ETF issuer based in New York. In his twenty years in finance, he has been managing director at both BNP Paribas and Bear Stearns, building and managing ETF sales and trading businesses. Abner travels around the U.S. and the world, advising institutions and asset managers on how best to build and trade ETF portfolios. He is passionate about the future of the ETF industry and continues to develop more efficient systems and techniques for ETF investors.